The clinical need and patient-driven demand for aesthetic and reconstructive surgery is driving global sales of implants, materials and other products. MedMarket Diligence's worldwide report analyzes the market and its opportunities. MISSION VIEJO, Calif. - May 15, 2014 - PRLog -- Manufacturers of implants, biomaterials, topicals, laser systems (and other instrumentation) and other products for use in aesthetics/cosmetic and reconstructive surgery have been both the drivers and the beneficiaries of growth in product sales. There are two sides to this market, one driven by clinical need arising from disease and trauma, the other driven by purely by patient demand. In the case of clinical need, manufacturers have been able to provide a wide range of products and instrumentation that enabled surgeons and other clinicians to provide highly effective reconstruction following trauma, cancer and other disfiguring diseases. In the case of more purely aesthetic minded patient demand, manufacturers have been able to leverage their expertise in reconstructive surgical products toward cosmetic outcomes that have tapped and driven patient demand -- even during the lean "Great Recession" years when aesthetic procedure demand, dependent as it is by out-of-pocket payment, was hampered by the fact that the recession squeezed what was left in patients' pockets. "The forces behind growth in aesthetic procedures are not substantially different than those behind reconstructive procedures -- the only real difference is economics," says Patrick Driscoll of MedMarket Diligence, LLC. According to Driscoll, this difference becomes even less significant considering that patient demand and clinical need are simultaneously driving the development of products that can be used on either front, representing a growing windfall for manufactuers, especially as the global economy improves. "Global Markets for Products and Technologies in Aesthetic and Reconstructive Surgery, 2013-2018," published by MedMarket Diligence, details the current status and forecast opportunities for technologies, applications and markets in aesthetic and reconstructive surgeries and other medical procedures. 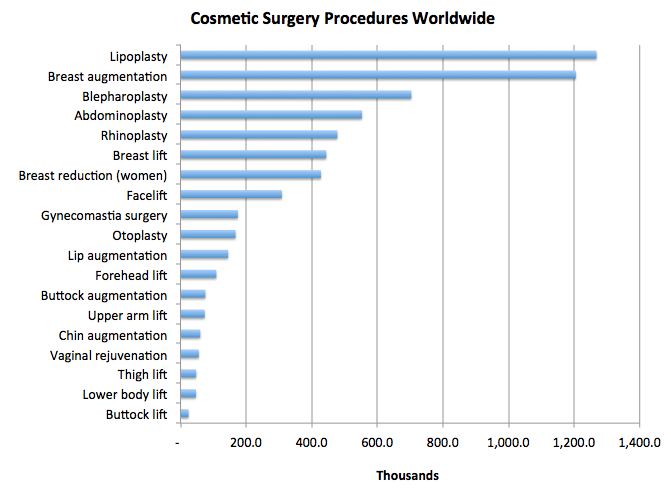 The report, produced through primary and secondary research spanning companies, clinicians, and third party payers, and combined with MedMarket Diligence's insights into market opportunties, encompasses analysis of the products, technologies, markets, companies and outlook for sales of products used in aesthetic and reconstructive surgical and other procedures. The report is described in full, with a complete table of contents and list of exhibitss, at http://www.mediligence.com/rpt/rpt-s710.htm. For further detail, contact Patrick Driscoll of MedMarket Diligence.